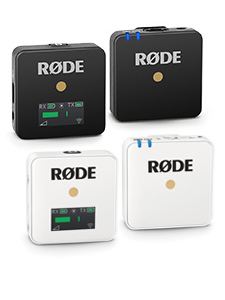 We’ve selected five common broadcast scenarios to illustrate how RØDE microphones will sound on location. Rollover the item on the left to learn more about each section. During recording the microphones were mounted in front of the stage and are picking up the reinforced sound from the venue’s PA system, which is a compromised but increasingly common application. We’ve also included the ‘close miked’ audio from the venue’s mixing console so you can compare to the best-possible live music recording. Each application has a different set of relevant microphones, as well as a generic ‘in-built’ camera microphone that was recorded under the same conditions using an industry standard camera for comparison. The microphone positioning gallery shows the proposed camera positioning in the left panel, and a slideshow of behind-the-scenes images on the right to illustrate the microphone set up. The Rewind, Play/Pause, Stop and Loop buttons will control playback as described. 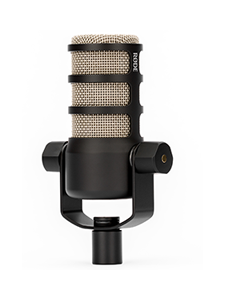 The microphone description shows an image of the microphone, as well as details on how the microphone was set up during the recording and the most relevant product features. The RØDE Soundbooth for Broadcast is an innovative and user friendly application that allows you to listen to various RØDE microphones in real world scenarios. Use Soundbooth to hear and compare how a particular RØDE microphone might sound when conducting interviews, doing voice overs and even when recording live music. Each recording was made with consideration to real-world conditions, as shown in the microphone setup gallery. The results you will hear in Soundbooth will of course be dependent on the quality of speakers or headphones you use, and it has been slightly compressed to make Soundbooth fast enough for internet usage. Please wait while we load your selected application tracks. 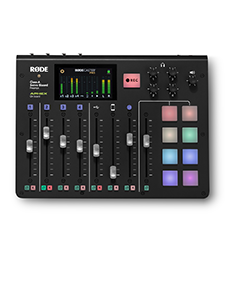 Please note that the RØDE Soundbooth requires a modern web browser and a reasonable amount of RAM to play the tracks in real time. Click here to get started with a quick tutorial.